Freshfields' Financial Institutions Disputes Group has over 200 partners and associates across the UK, the US, Asia and Europe. The group advises a wide spectrum of financial institutions, including global investment banks, commercial and retail banks, asset managers, insurers, reinsurers and intermediaries. The group’s work covers a wide range of regulatory investigations, encompassing the wholesale and retail markets, as well as high profile, and often technically complex, litigation, arbitration and alternative dispute resolution. As a member of the Financial Institutions Disputes Group, I have extensive experience in finance litigation and regulatory investigations, acting for investment, private, and retail banks, as well as insurers and other financial institutions. A large proportion of my practice is acting for Wealth Managers - advising on investigations, disputes, and regulatory risk (for example, systems and controls, conduct of business, and AML risks). 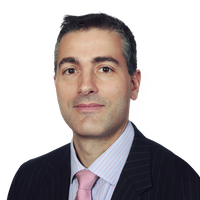 I have spent time on secondment to the Litigation team at Citi, and to the Group Regulatory team at Lloyds Banking Group, as well as working in-house as Head of Litigation at UBS Wealth Management in the UK. I speak regularly at conferences and seminars on regulatory and finance litigation issues.